There are certain business expenses which can be used to reduce your personal tax bill when you are self employed. Many of these allowances can be back claimed for the past three years if you feel you were entitled to them and missed out. You must keep proof of all expenses, bills and mileage you are claiming for. You can only claim for expenses which are wholly and exclusively for business use. HMRC may ask you for proof of both the expenses and their business use. Claiming the correct tax-deductible expenses and record keeping is essential to avoid any problems with HMRC later down the line.’ He recommends either using tools such as GoSimpleTax (which prompts you to claim allowances and allows you to record income and expenses easily), or if your tax affairs are complex - then contact a specialist tax adviser, to ensure you are compliant. Household Expenses. If you are using your home as your office you can offset a proportion of your household bills such as heat, electricity, council tax, water. Even if you only use your home for minor business use, HMRC will accept a reasonable estimate provided your claim is small and reflects your circumstances. Alternatively, HMRC now offer a simplified way to claim for working at home which is based on the average number of yours you work at home during a month. Details can be found at Simplified Expenses if you are Self-Employed or read our guide on working from home expenses for Self-Employed. Office costs & Phone/Internet. If you work out of an office rather than home, then all running costs, repairs, maintenance, etc. can be claimed. Home office running costs such as paper, pens, ink cartridges, postage etc. when for business use, can be written off against profits. Business phone calls can be claimed, but only a proportion of line rental and broadband charges can be claimed. The percentage will depend on how much they are used for business activities. Office equipment. Laptops and printers etc. can all be deducted from profits via capital allowances, or the annual investment allowance, according to the proportion of their business use. Costs incurred in respect of software licences and rentals may be offset against profits across the duration of the rental; unless you are using the cash basis. I.T. ,Marketing & Admin Costs. Marketing and advertising costs such as newspapers, directories and online campaigns for your business can all be claimed but must be allocated across the duration of the advert; unless you are using the cash basis. Membership fees and subscriptions. You can claim tax relief on membership fees and subscriptions provided they are incurred wholly and exclusively for the purposes of the trade. Professional and accountancy fees. Provided legal fees are incurred wholly and exclusively for business purposes and are not capital in nature, they may be offset against profits. For example, fees incurred in relation to a new lease for some premises. Costs of preparing annual accounts, bookkeeping, operation of payroll and ongoing tax compliance are generally allowable trading expenses. Mileage, vehicle costs & travel. You should keep a log of both personal and business mileage. When you first introduce a vehicle to the business, you may account for your vehicle expenses using HMRC’s mileage rates. The first 10,000 business miles can be claimed at a rate of 45p per mile; 25p per mile thereafter. The mileage rate covers the cost of fuel, servicing, insurance, tax, MOT, depreciation of the vehicle etc. However, you may claim for specific business journey costs such as tolls, congestion charges and parking fees and the finance element of a hire purchase or finance lease in addition to mileage. If you don't use the set mileage rate, you can claim a proportion of the actual vehicle running costs. The amount you can claim is in proportion to the vehicle’s business use, which can be established using the vehicle’s mileage log. Travel and accommodation on business trips and between different places of work can be claimed as well; but you cannot claim for “commuting” i.e. travel from home to work. Meals and subsistence are not generally allowable, unless they are in respect of a trip that qualified as business travel. The cost to purchase a vehicle cannot be claimed as an expense if you are using the mileage rates, as the rates are deemed to cover the depreciation of the vehicle. If you are accounting for vehicle expenses using the actual costs incurred, the cost of the vehicle, may qualify for relief via capital allowances. Staff costs. All costs of employing staff, such as wages, NI contributions, pension, training, childcare provision (subject to conditions) , can be claimed for. Training courses If you attend courses to maintain and update your existing skills, these will be allowable if it relates to the trade. But if the training is for learning a new skill, it is not allowable on account of being capital in nature. Bank charges. All business bank and credit card charges, leasing payments and hire purchase interest are tax deductible. Just be aware that if the contract relates to an asset that has an element of private use, such as a car, some of the interest or rental payments may need to be disallowed accordingly. Clothing. If you need to purchase a uniform or something like specialist clothing for your business, such as protective gear, (and no, suits do not count) then these can be claimed. Cost of sale goods. Goods that are purchased for you to sell on or materials used to make your products can be claimed. Any purchases left in stock at the end of the accounting period should be excluded and instead recognised in future periods as they are sold/ consumed. Bad debts. Any amount that is included in your turnover figure, but has not been paid and has been written off as unrecoverable, can be claimed. Capital expenditure relates to one-off expenses to buy or improve an asset you keep and use for your business. Capital items such as vehicles, computers, premises, etc, and their depreciation, are dealt with separately via the capital allowances regime. The Annual Investment Allowance is an allowance which offers relief at 100% for qualifying expenditure in the year of purchase. Many common business assets such as office equipment, furniture and machines or tools, are considered plant or machinery and may therefore qualify for the Annual Investment Allowance. However, if your profits are less than the personal allowance (£11,500 in 2017/18) you may be better off not using your available Annual Investment Allowance for assets you’ve purchased, as this will waste your personal allowance. You may instead decide to carry forward the assets and write them off in future years when you have tax to pay. Between April 2008 and January 2016 the AIA amount changed several times fluctuating from £50,000 to £500,000 and in between. For the years 2016 onwards, it is currently £200,000. Prior to 2016 the rate was £500,000! 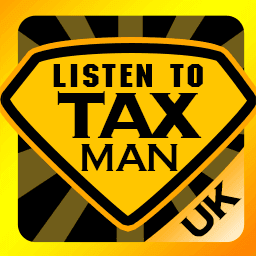 HMRC has details on the Annual Investment Allowance. For more on Self Assessment see our Guide. This article was published in our Guides section on 28/03/2018.